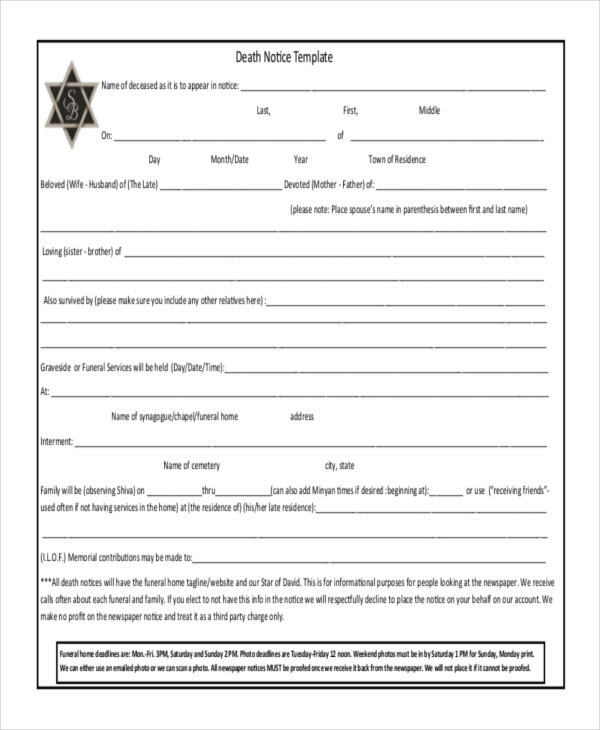 When our beloved family member, friends, or colleagues passed away, it is much appreciated that we honor his/her moment through a death final notice. It may not be that fancy but a death notice can give value to the person who died and inform the public how much you truly care for them. The purpose of a death notice is similar to adverse action notice that strongly informs the public about the death of a particular person, whether that person is famous or not. 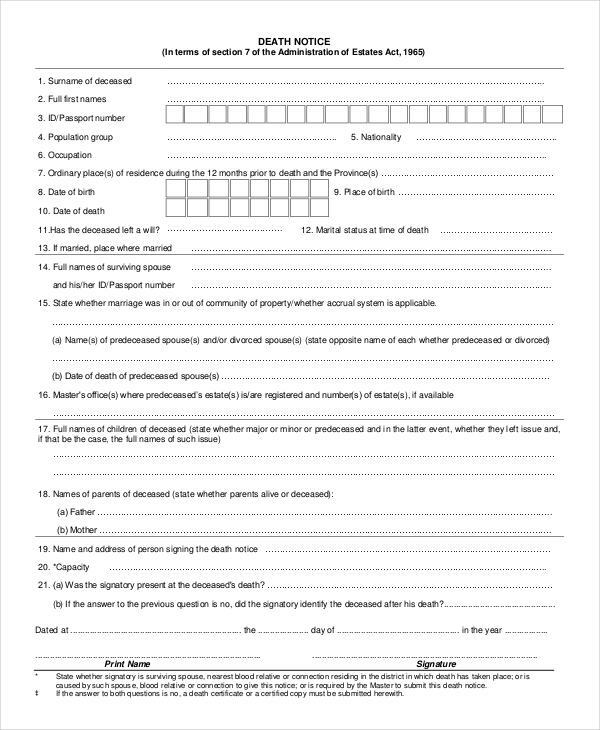 A death notice contains all the information about the life of a deceased person together with the details of his/her death. What Does a Death Notice Look Like? 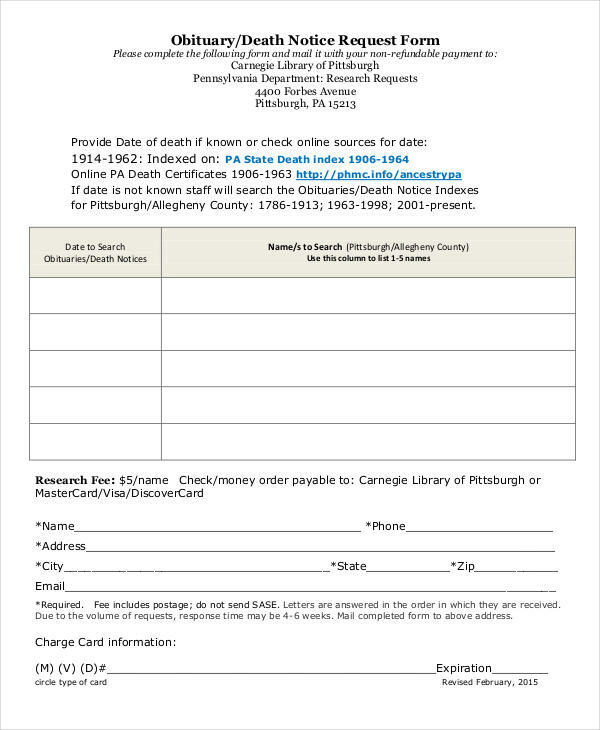 A death notice pdf is a paid announcement in a newspaper that details the death of a person. A death notice gives the name of the person who died, details of the funeral or other memorial services, and the biographical information of the deceased person. 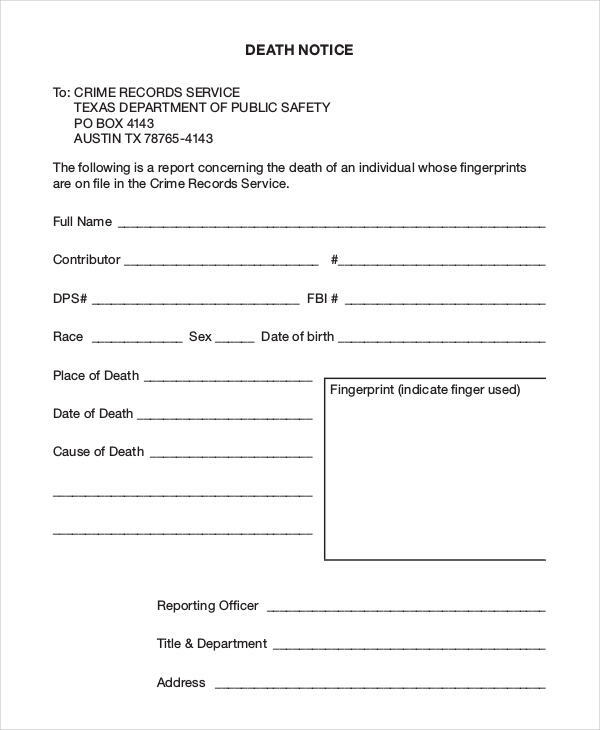 Most common death notice includes the photograph of the deceased person in black and white, the name of the person below, and the date of passing to avoid confusion to over whom has died in the same day. Then lastly, the details of the funeral service. The information of a deceased person written in a death notice is entirely up to the family. However, there are common pieces of information found in most death notice. The complete name of the person who died, including the maiden name and nickname and suffix. The birthday of the deceased person (optional). The date and location of death. The details of the funeral service, including the final notice letter of the date, time, and location of the service. The cause of death (optional). The family members (parents and siblings) and/or the deceased person’s family (wife and children). 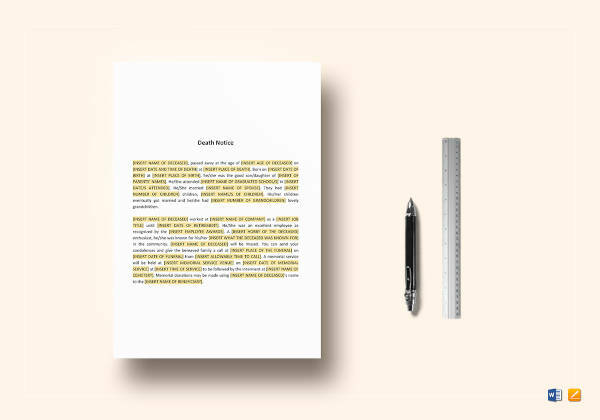 Although the function of the two is to inform the public about the death of a particular person (famous or not), but these two has a slight difference to each other when it comes to formatting, publication, and cost. 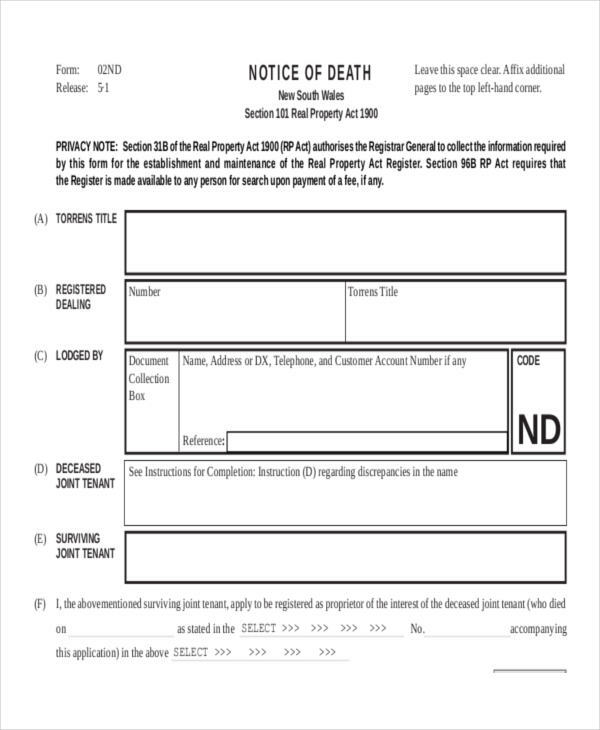 A death notice, as mentioned above is a paid formal notice similar to a paid advertisement that is commonly written by a family member and submit it to their chosen newspaper and publications. 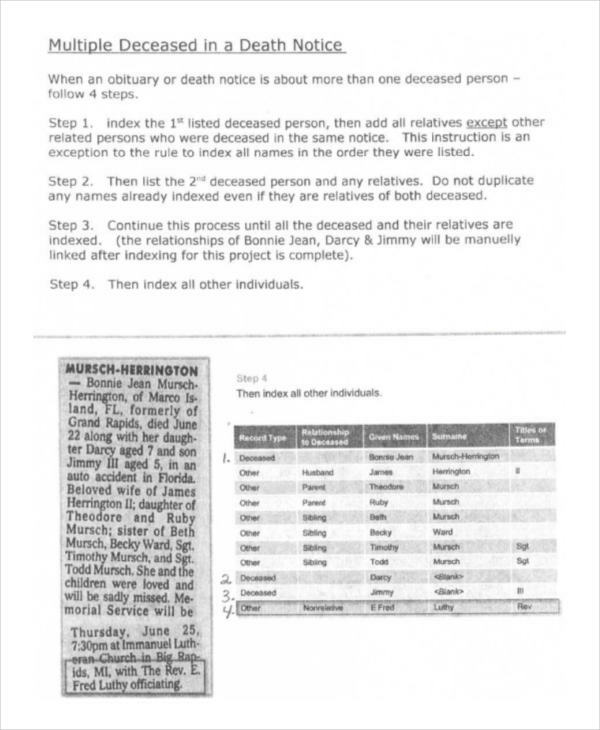 A death notice details the life of the deceased in chronological order. An obituary is an editorial article announcing the death of a person together with his/her biographical information. Unlike death notice, an obituary is written by the newspaper editor. 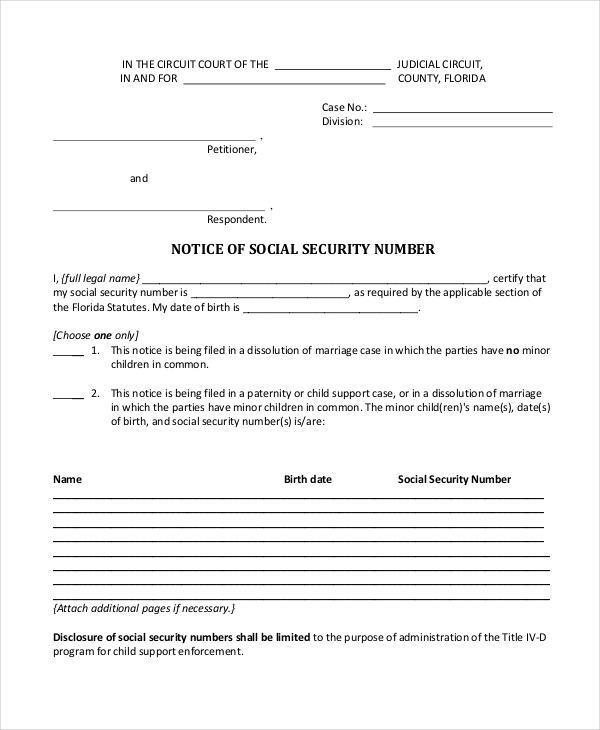 Commonly, death notice is printed in a local and national newspaper or other various publication within the hometown or the city where the person who died lived. While obituary is printed in a major national or international newspaper. Most newspaper only publishes the obituaries of famous or prominent people. Some newspaper considers death notice as free notice that is free of charge but some will cost depending on the word count or per line and varies the charge to the photo included. On the other hand, obituaries are much more expensive as this can last for a week or so.